Tracing your family’s roots back even a few generations can be a challenging experience. However, it is worth the effort because it can have a big impact on your children’s lives. Here are three reasons to create a family tree for your kids. For a lot of kids, history is a boring subject. It’s a story about things that happened a long time ago, and kids are all about now and the future. When you study your own family history, it helps put things in perspective on a larger scale. Perhaps you have a great-great-great-grandfather who fought in the Civil War or a great-great-uncle who was a soldier in World War I. Suddenly, these aren’t just stories about people who are dead now. They are stories about your family. The soldiers who marched through heat and cold aren’t strangers; they’re family. Learning about history is a lot more fun if you’re involved in some way and a family tree can tie that in. When kids learn about their own family tree, it helps them understand more about who they are. They can see that their red hair and freckles go way back to great-great-grandmother Bonnie. Or perhaps the only other person who was short in the family besides them was great-great-great-grandmother Alice. Learning about their family history can help them develop a better sense of who they are and why they look and act the way they do. It also enhances their feeling of stability and security as they see they are part of something bigger. As kids grow up, family members pass away. They may forget what great-aunt Anna looks like or how grandfather Bill laughed. While you can tell stories about family members who passed away when the kids were young or even before they were born, these stories will have more meaning if they can be placed in correct association. For example, say your grandfather was one of eight children. Your child may only know or remember two or three of them. Others are just names that lose their meaning and place in the family without a family tree to help them remember. When your dad talks about Uncle Phil, your kids will understand who he means and pay more attention to the stories. Instead of just words, they will be able to imagine their granddad as a boy, sitting on Uncle Phil’s lap listening to his jokes. You don’t have to create an extravagant or complicated family tree for it to be of value to the kids. A simple diagram will work wonders to help them make the right connections. However, the more information you can add, including photos, will help them remember who this person was and why they are part of the family. 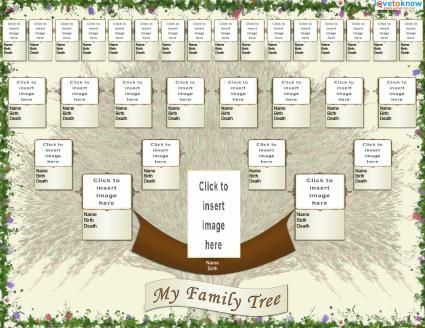 To help you get started, look for free online family tree templates. What tips or ideas can you share for creating a family tree with your kids? 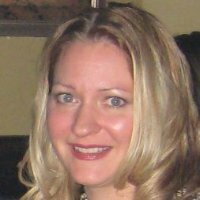 This article was a guest post submitted by Suzie Kolber. 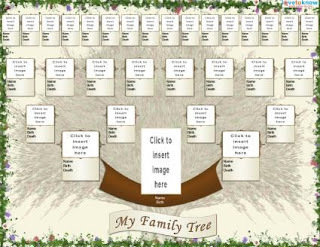 Suzie Kolber created http://obituarieshelp.org/free_printable_blank_family_tree.html to be the complete online resource for "do it yourself" genealogy projects. The site offers the largest offering online. The site is not a for profit website dedicated to offering free resources for those that are trying to trace their family history.